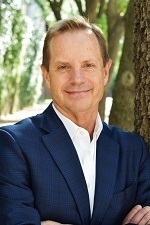 John T. Royall was named President and Chief Executive Officer of Gulf Publishing Company on April 28, 2009. Mr. Royall has extensive experience in business-to-business media and events including 22 years in business publishing. 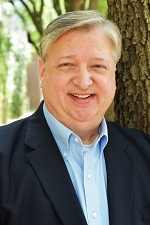 A graduate of the University of Texas, he has held executive positions at Reed Business Information and Penton Media. Previously he was Vice President of PennWell’s Offshore Group. Andy McDowell is Publisher of World Oil. Andy has been with Gulf Publishing Company for 10 years and has served as the magazine’s Associate Publisher, Global Sales Manager, and District Manager during that time. Prior to working for Gulf Publishing Company, he spent one year in a management trainee program for Clear Channel Entertainment based in London, UK and Houston, TX. He is a graduate of Texas Christian University with a Bachelor of Business Administration degree in marketing. Kurt Abraham is Editor of World Oil. He is responsible for day-to-day management of content, heading up forecasting, and developing new products. Kurt has 30 years of industry experience. He earned a BA degree in journalism and business administration from Texas A&M University. His experience includes all four major media, as well as a major trade association. He is a member of NOMADS, the IPAA Supply and Demand Committee, and Offshore Energy Center, and he serves as an expert commentator. 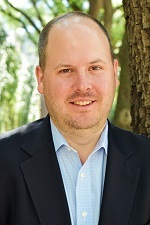 Craig Fleming is World Oil’s Technical Editor. His duties include updating the company’s engineering tables, editing technical articles and producing the industry data section of the monthly print magazine. Craig has 35 years of industry experience working primarily as a corporate communicator for several large service companies. He is a member of SPE and graduated from Oklahoma State University with a BS degree in Geology. 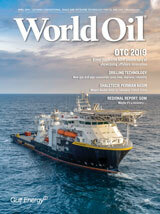 Emily Querubin is World Oil’s Associate Editor. Her duties include editing articles and contributing content to WorldOil.com, as well as the monthly print magazine. Emily graduated from Shippensburg University of Pennsylvania with a BA degree in Communications/Journalism. Prior to joining World Oil’s team of editors, Emily gained several years of editorial experience with a non-profit organization in the Washington DC metropolitan area. Michele Cowart is the news editor at World Oil magazine, where she creates, reviews, and submits upstream oil and gas articles for publication in the digital sphere and in print. She has 20 years of oil and gas experience and most recently managed communications operations for North America, South America and Asia Pacific for Baker Hughes, a GE company. 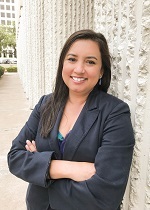 Michele has a BA in communication and marketing from the University of Houston and enjoys SCUBA diving.